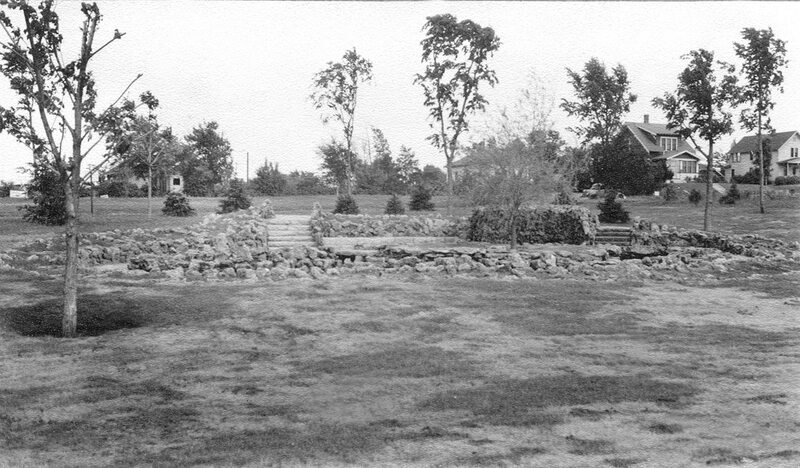 LOST: The original Lilac Park, after the beehive was saved and relocated. 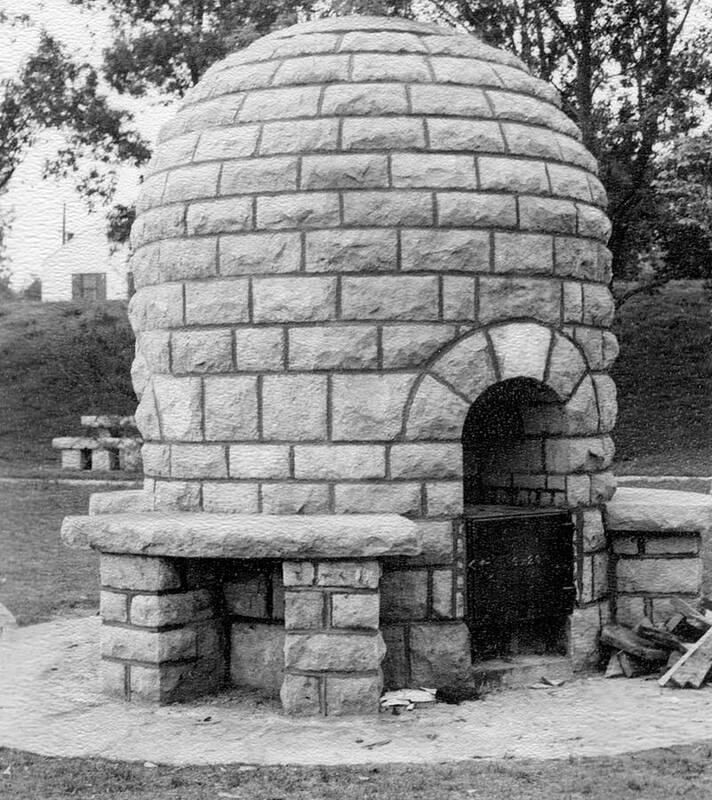 The beehive fireplace and picnic tables were built in 1939, located at Highway 100 and Minnetonka Boulevard in St. Louis Park, Minnesota. 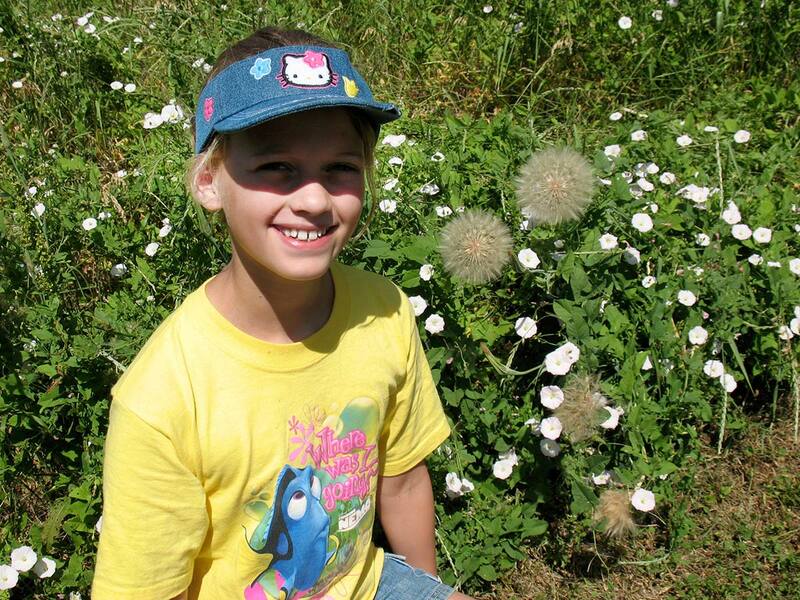 In 2008, they were saved, and moved to another park a few blocks south on Highway 100 and Highway 7. 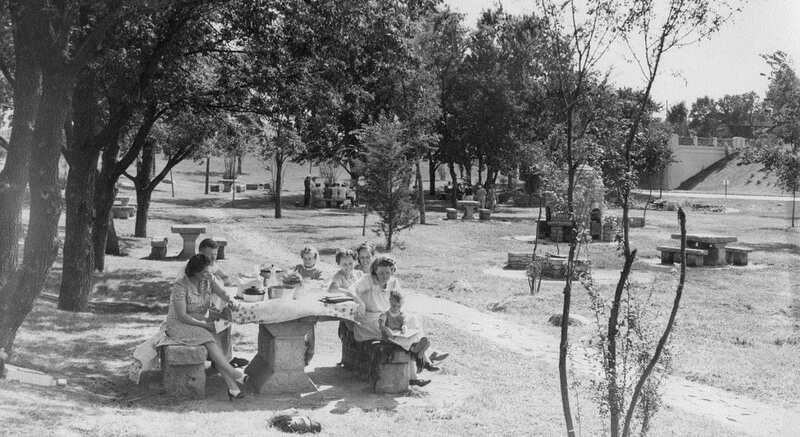 That park was restored, and renamed Lilac Park. 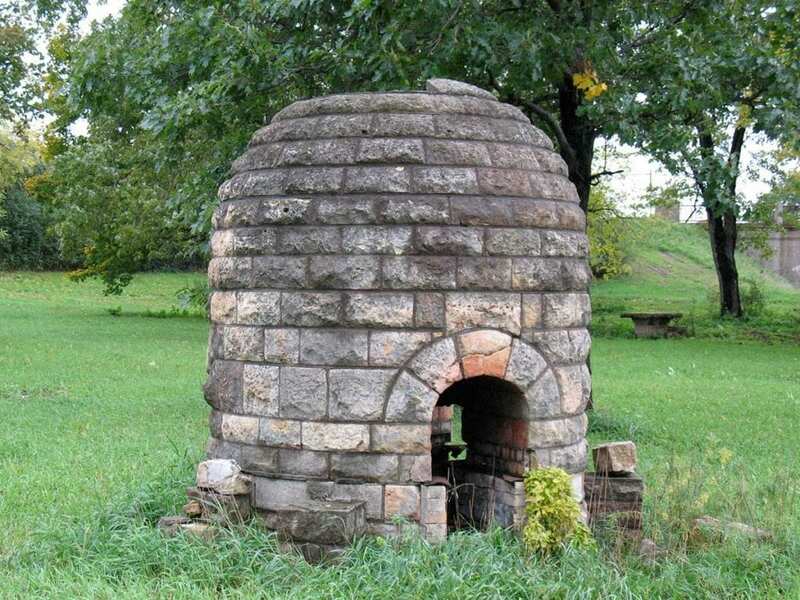 The National Park Service and MnDOT can document only two beehive-shaped fireplaces left in the U.S. This beehive was moved, and restored to its original beauty. 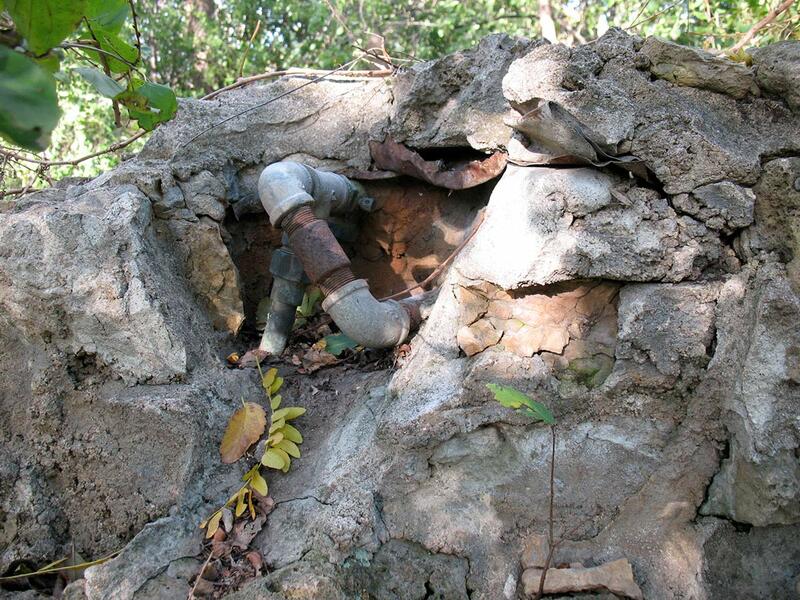 The other beehive, in Graeser Park in Robbinsdale, Minnesota, is just waiting to be restored. 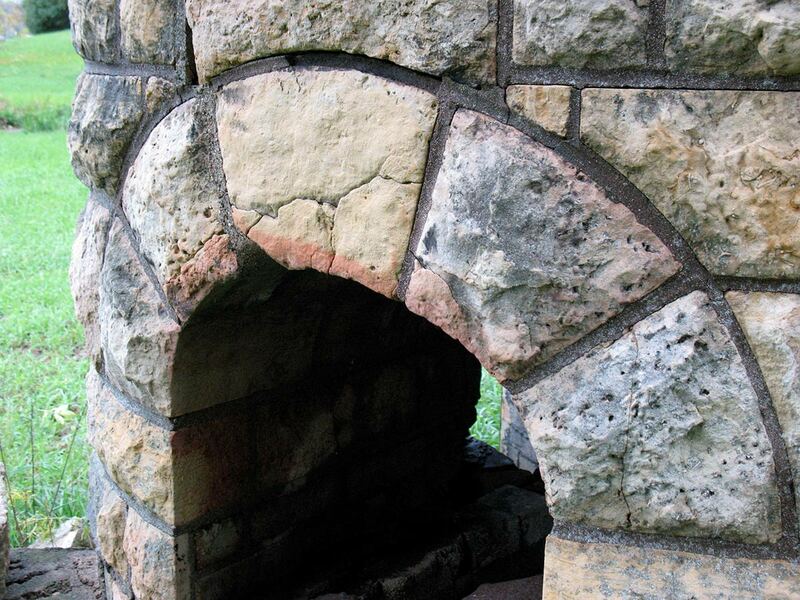 This website was created to promote the restoration of the other beehive fireplace, located in Graeser Park. 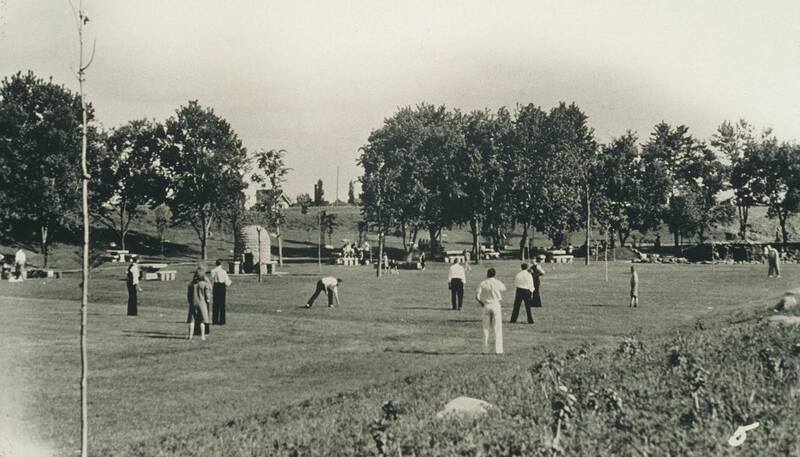 Lilac Park (original), Minnetonka Blvd., 1939. 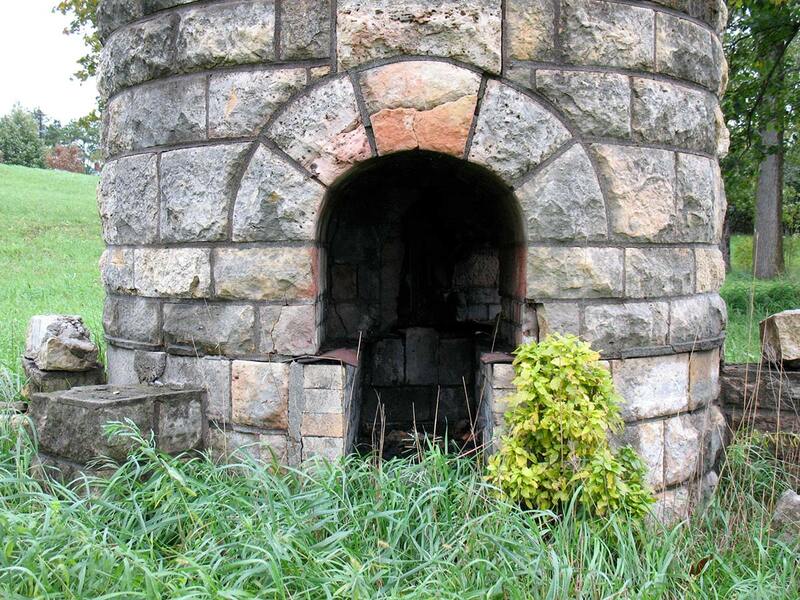 Southern rock garden, beehive fireplace. Photo: MnDOT. 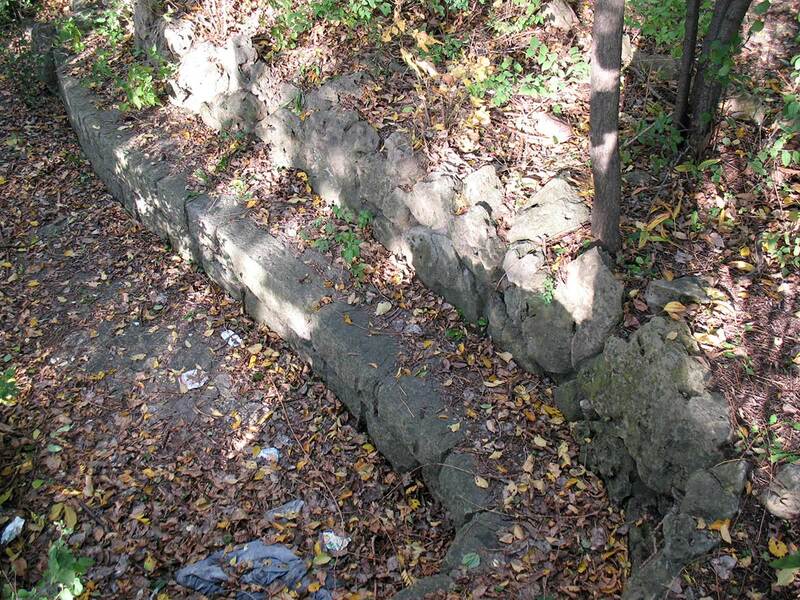 The north end of Lilac Park is called Rock Island. 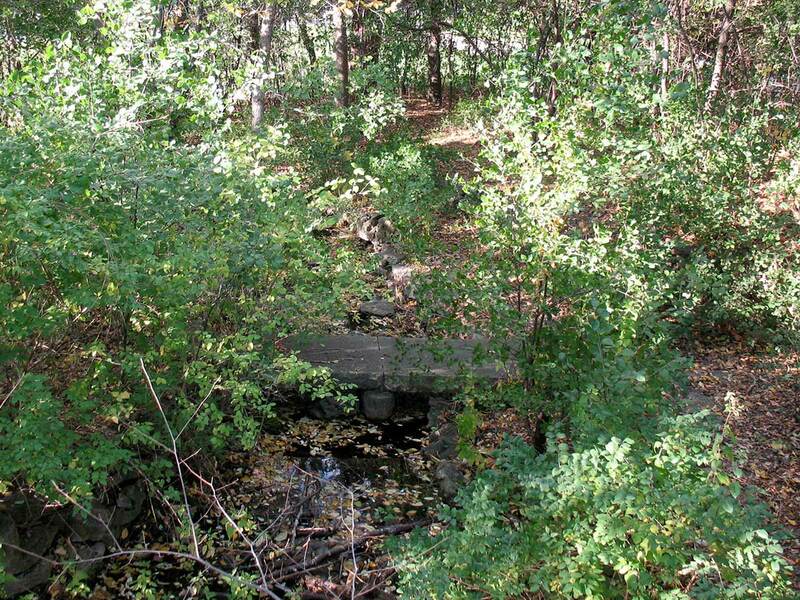 Its pond, island, 10′ footbridge and bench is all that remains of the original park. 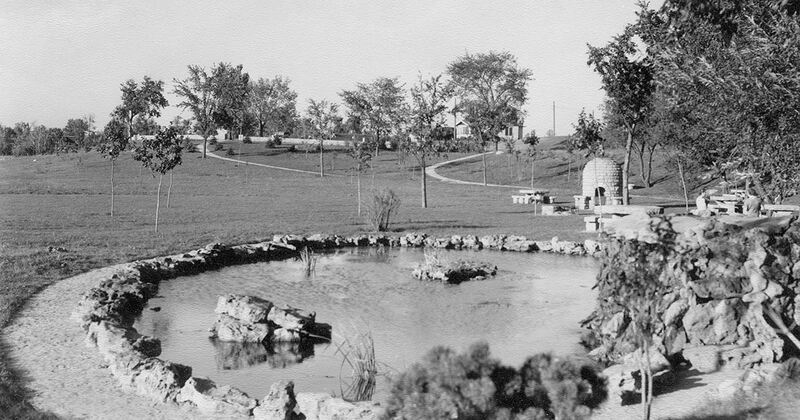 In the 1930s, the WPA built seven parks along Lilac Way, as well as Como Park Zoo’s ‘Monkey Island’, barn and Main Zoo building. 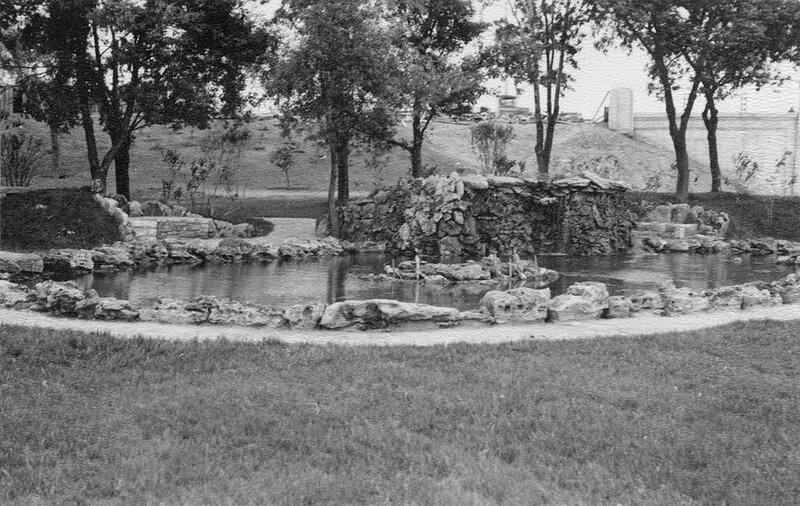 Rock Island’s nickname comes from Como Park’s ‘Monkey Island.’ Como Park renamed their island ‘Seal Island’ in the 1980s. 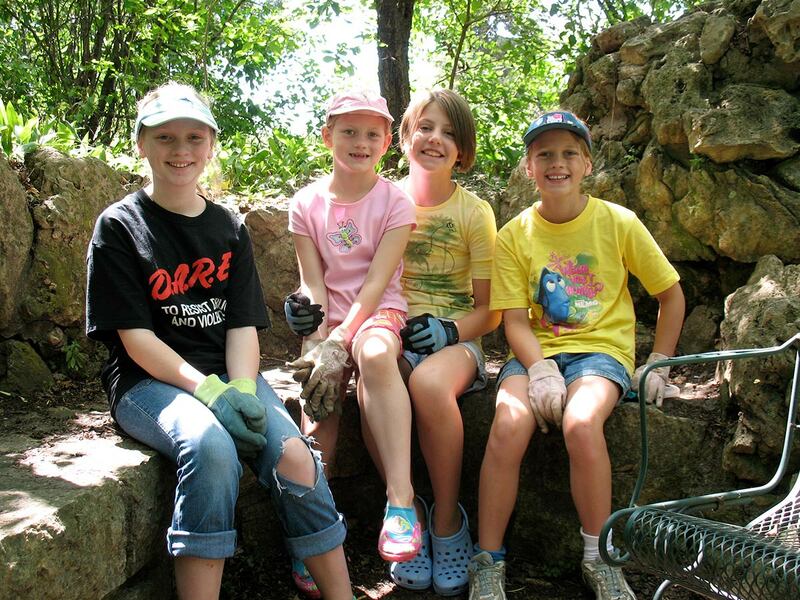 There is a growing community effort to restore Rock Island. 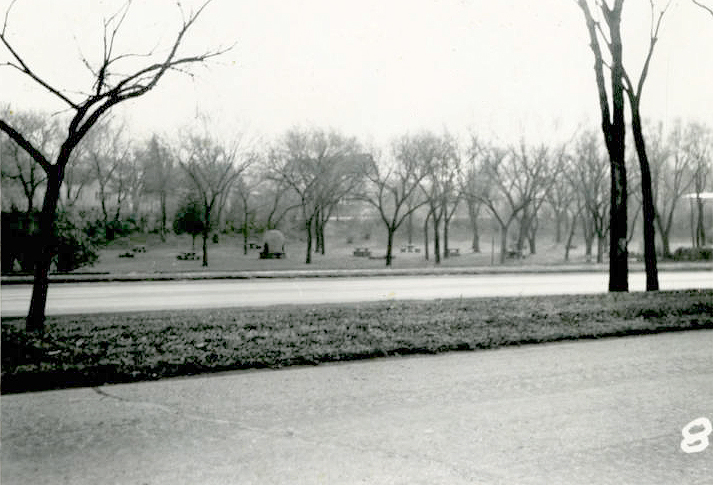 Lilac Park, original (Minnetonka Blvd. ), 1939. 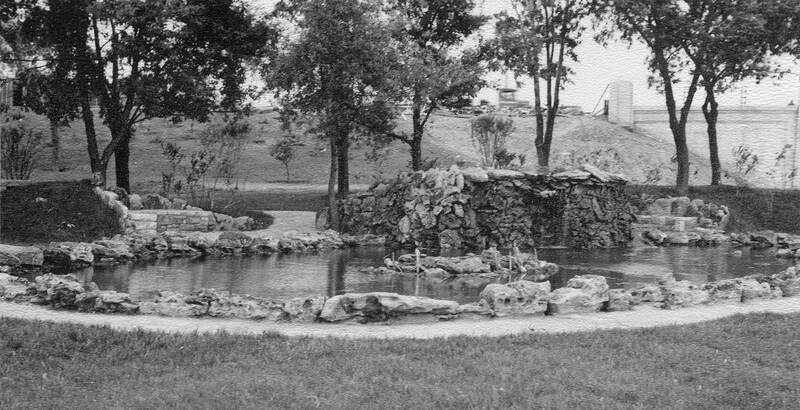 Rock garden pool and island. 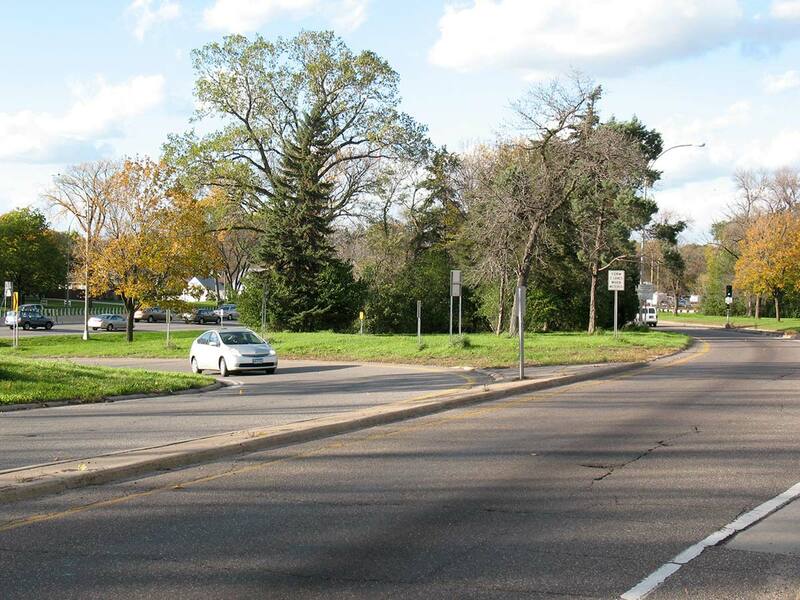 Photo: MnDOT. 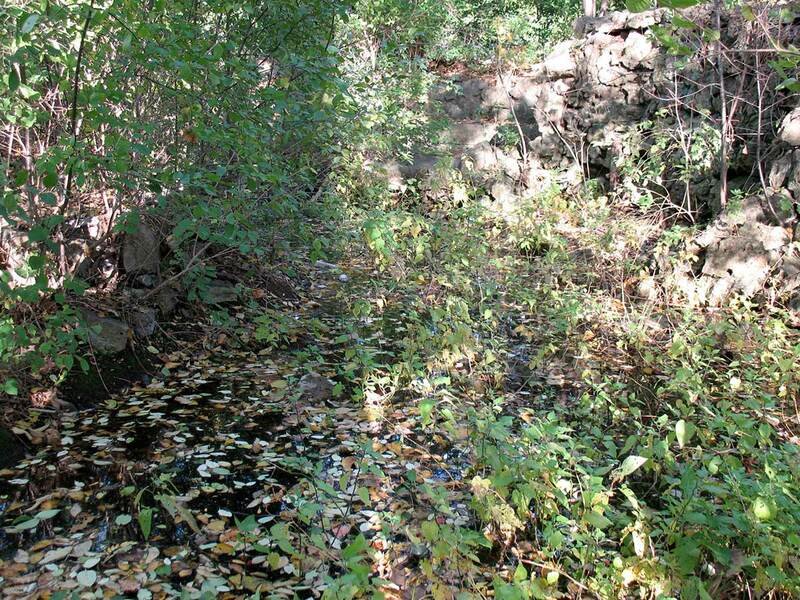 Scroll through photos of this park in 2007-08. 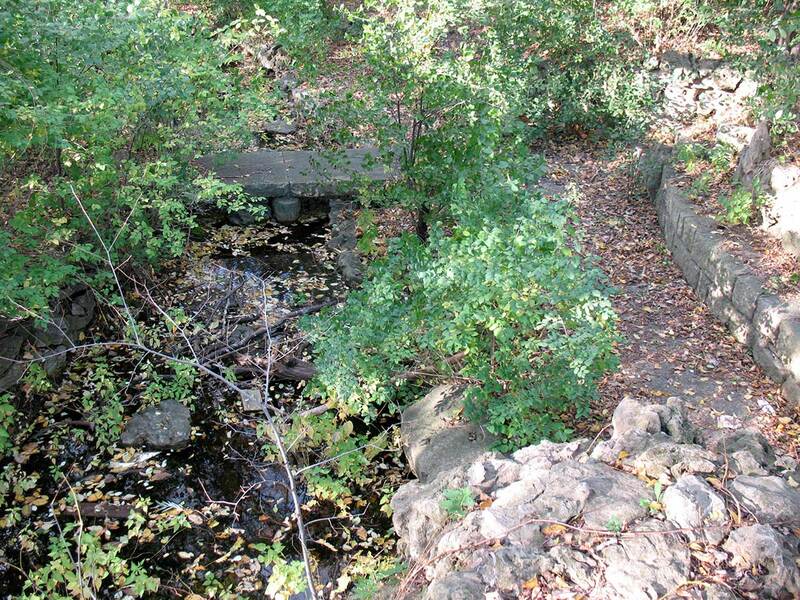 Lilac Park (original), Mtka. Blvd., 2007. Beehive fireplace. 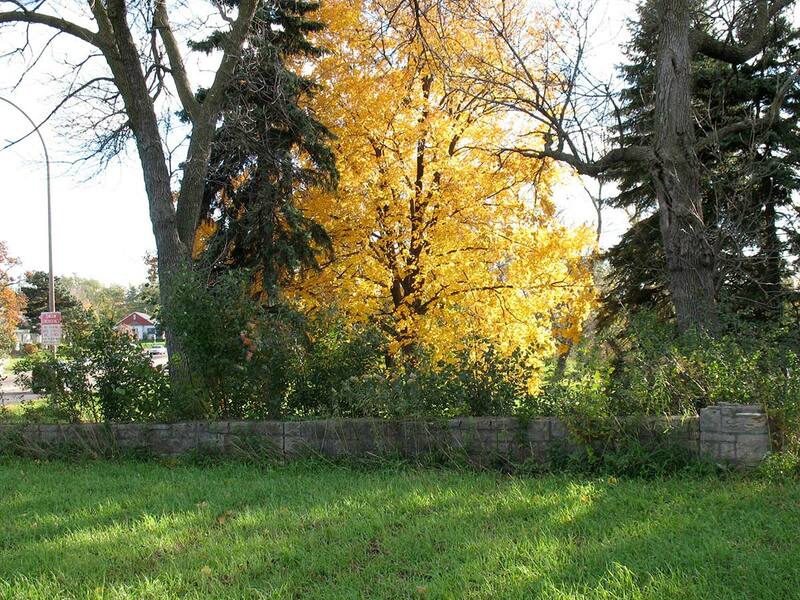 Lilac Park (original), Mtka. Blvd., 2007. 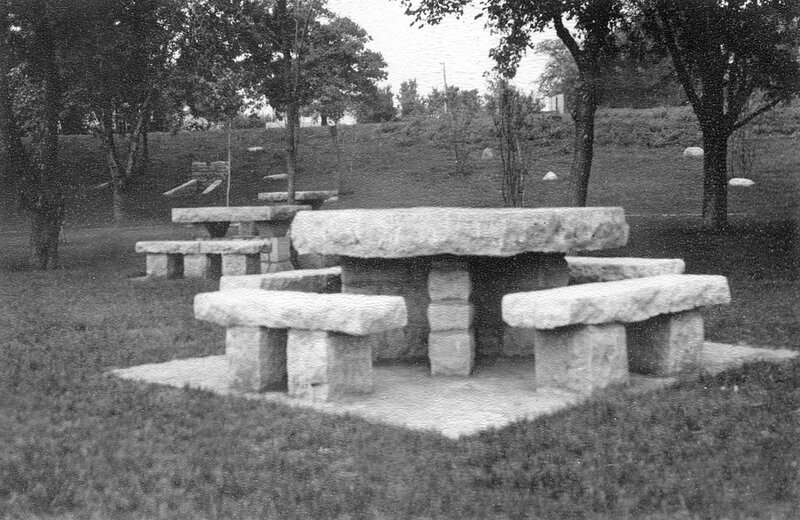 Hand-built limestone picnic table. 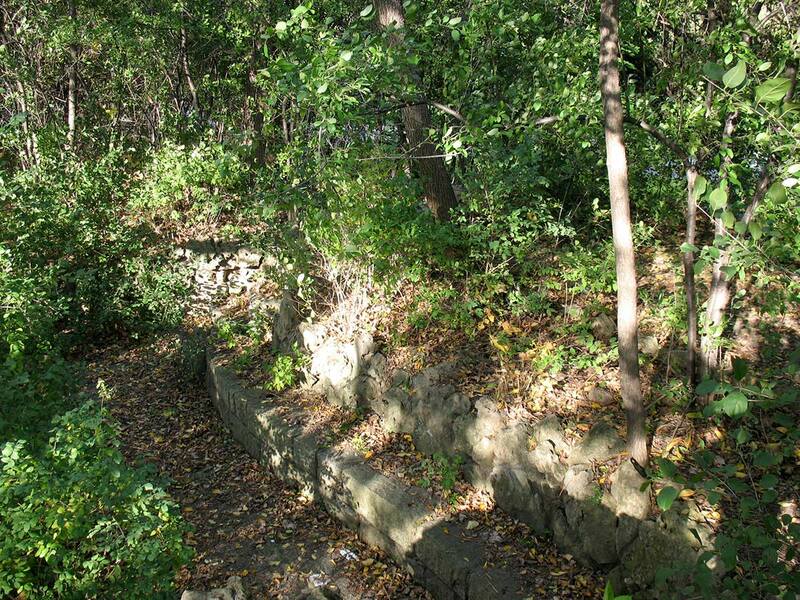 Lilac Park (original), Mtka. Blvd., 2007. 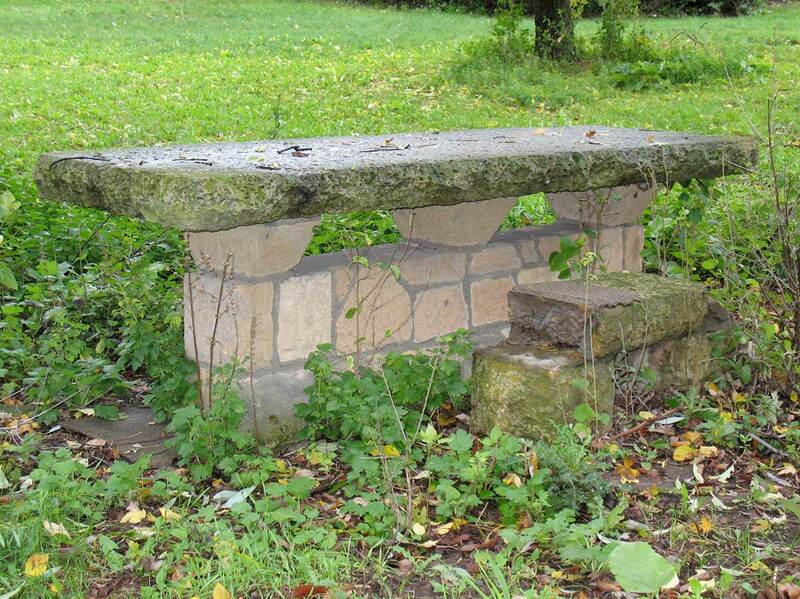 Hand-built limestone picnic table with beehive. 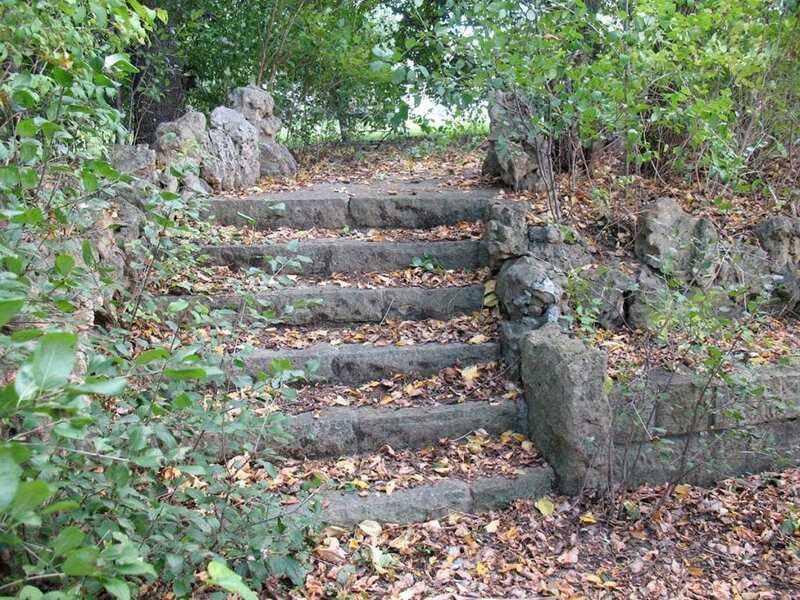 Lilac Park (original), Mtka. Blvd., 2007. 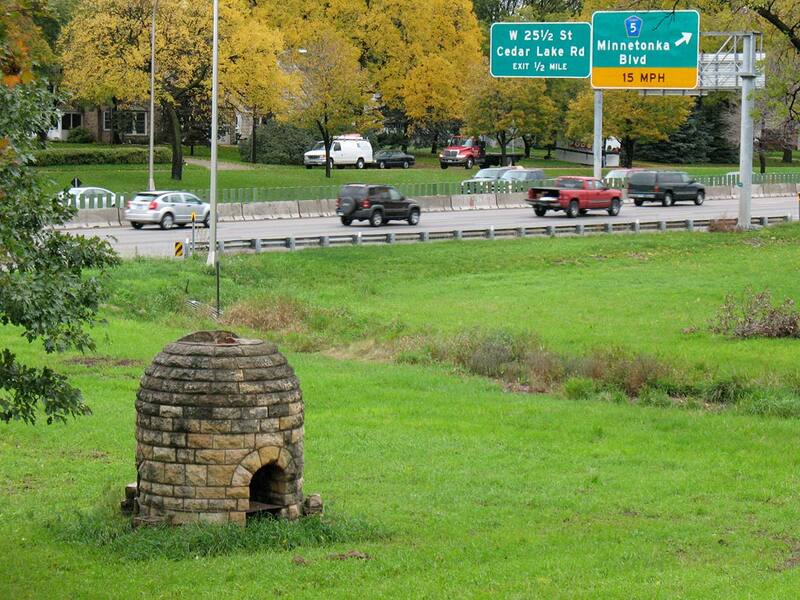 Beehive with Hwy 100 in background. 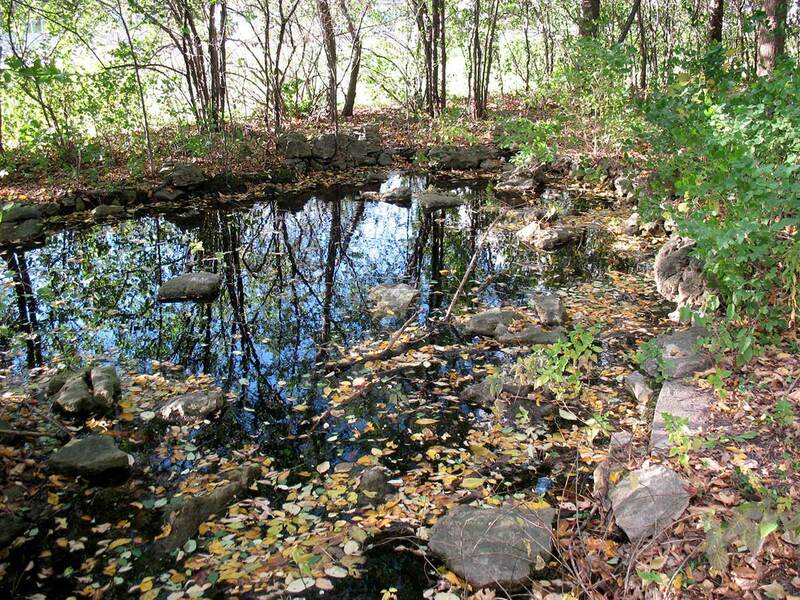 Lilac Park (original), Mtka. Blvd., 2007. Lilac Park (original), Mtka. Blvd., 2007. 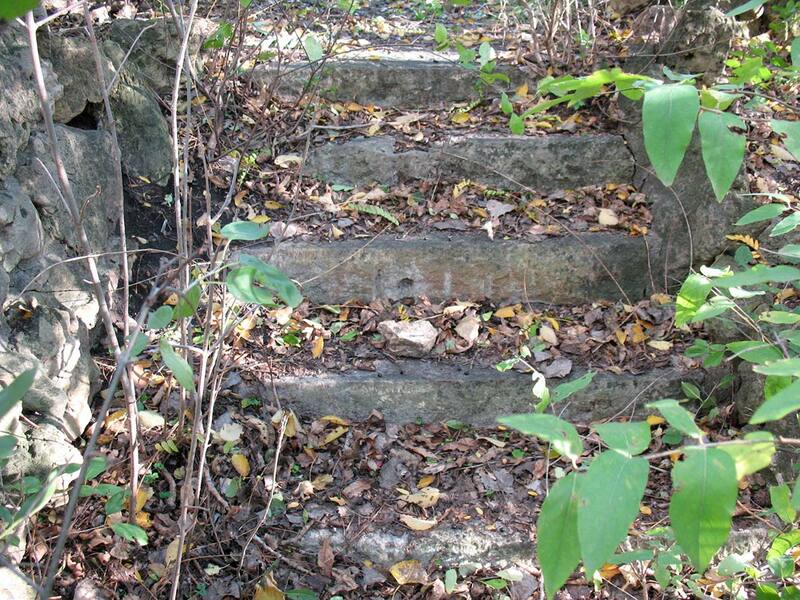 One of two entrance steps. 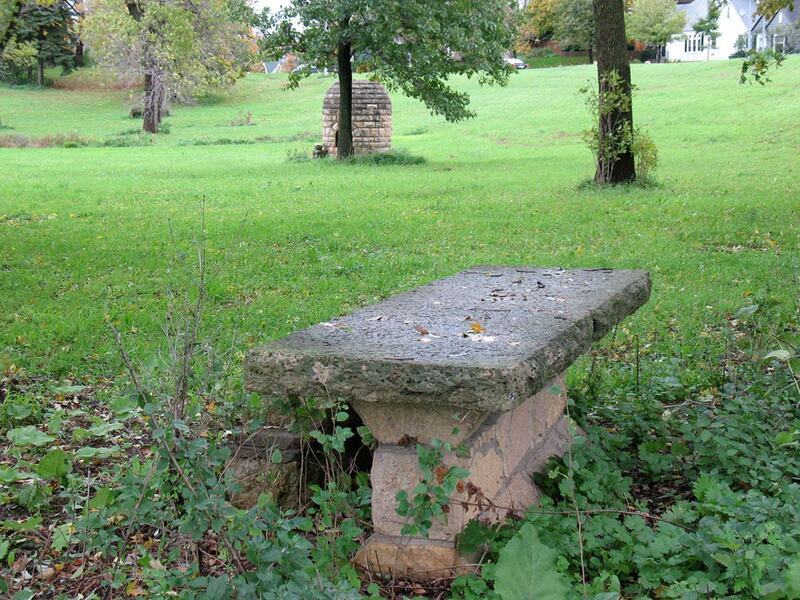 Lilac Park (original), Mtka. Blvd., 2007. 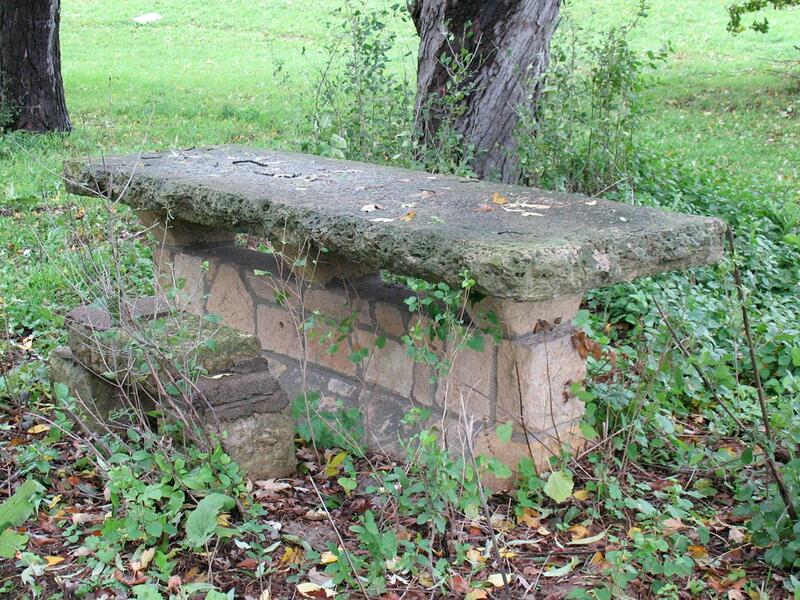 L-shaped stone bench with a 2'-tall backrest. 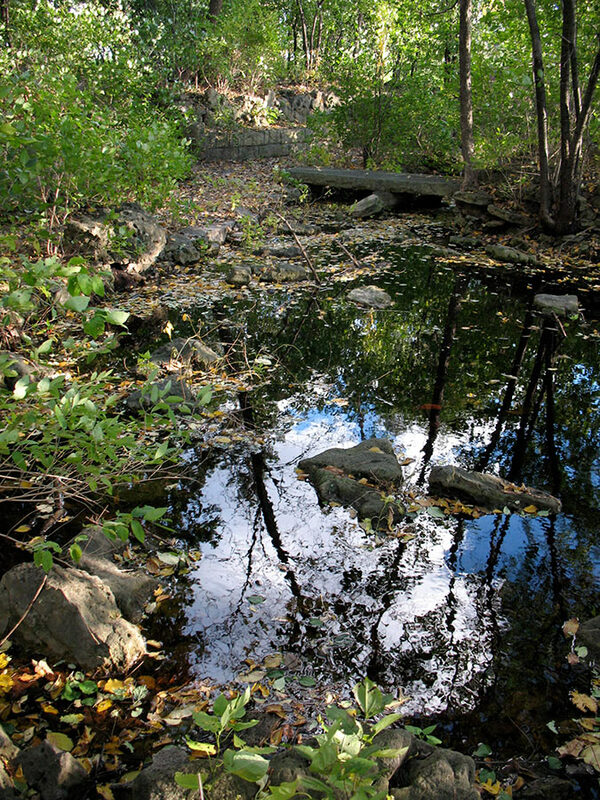 Lilac Park (original), Mtka. Blvd., 2007. Oval pool lined with stones, curving paths are paved with flagstone. AKA Monkey Island. 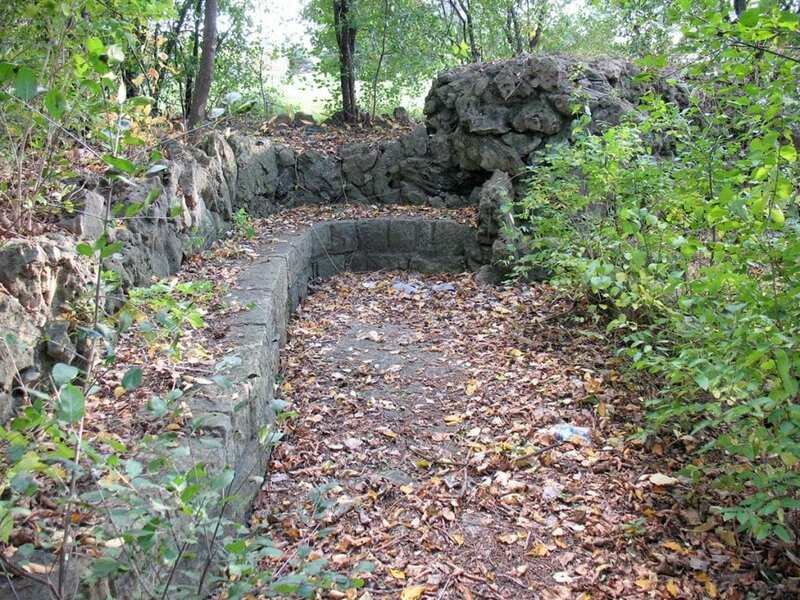 Lilac Park (original), Mtka. Blvd., 2007. 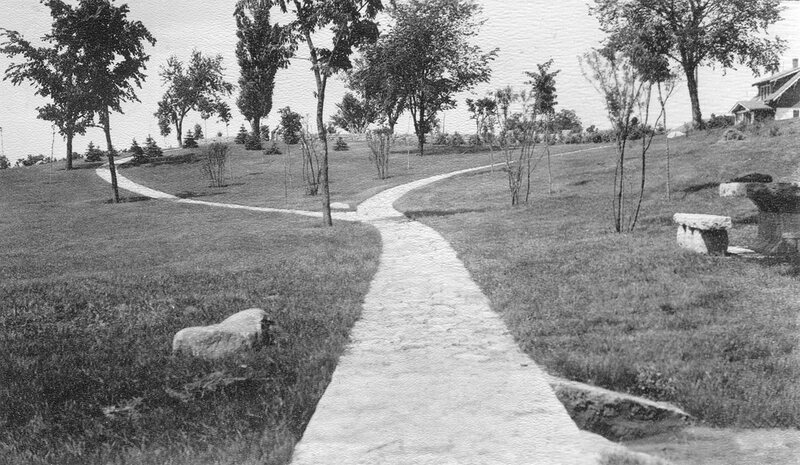 Oval pool lined with stones, encircled by flagstone path. AKA Monkey Island. 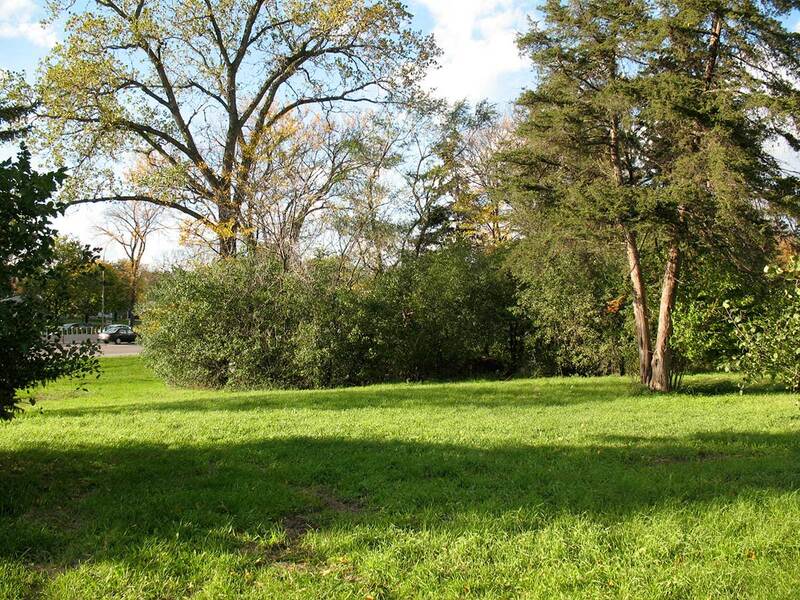 Lilac Park (original), Mtka. Blvd., 2007. 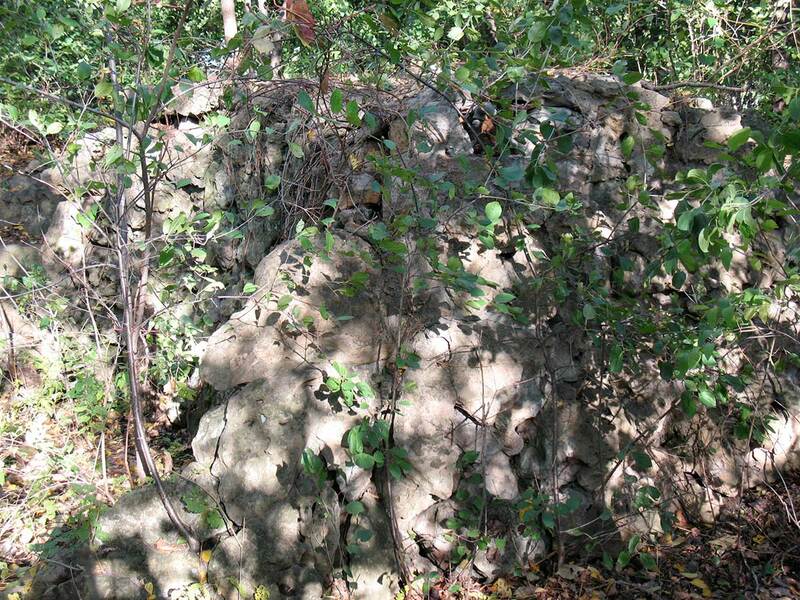 Limestone wall. Lilac Park (original), Mtka. Blvd., 2007. Water pump. Lilac Park (original), Mtka. Blvd., 2007. 10'-long footbridge of two slabs of limestone on limestone piers, leads to island from E side. 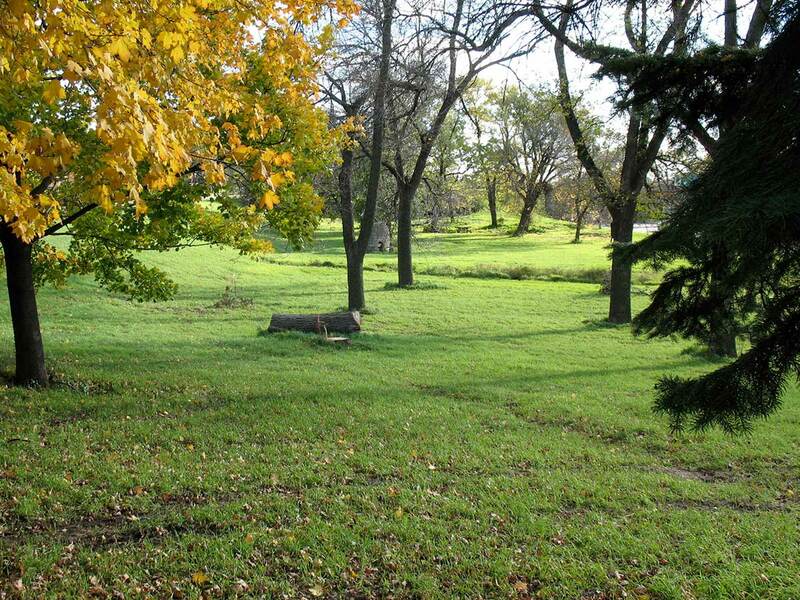 Lilac Park (original), Mtka. Blvd., 2007. Cleanup team. 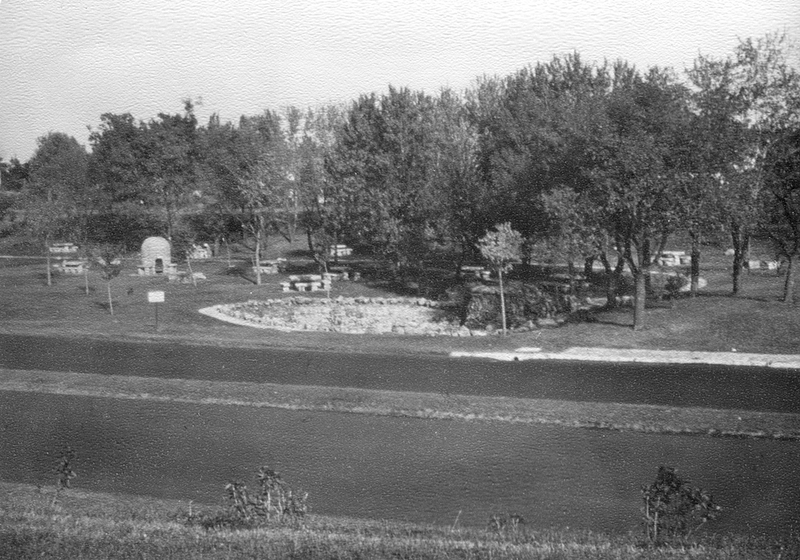 Lilac Park (original) in 1939-1964. 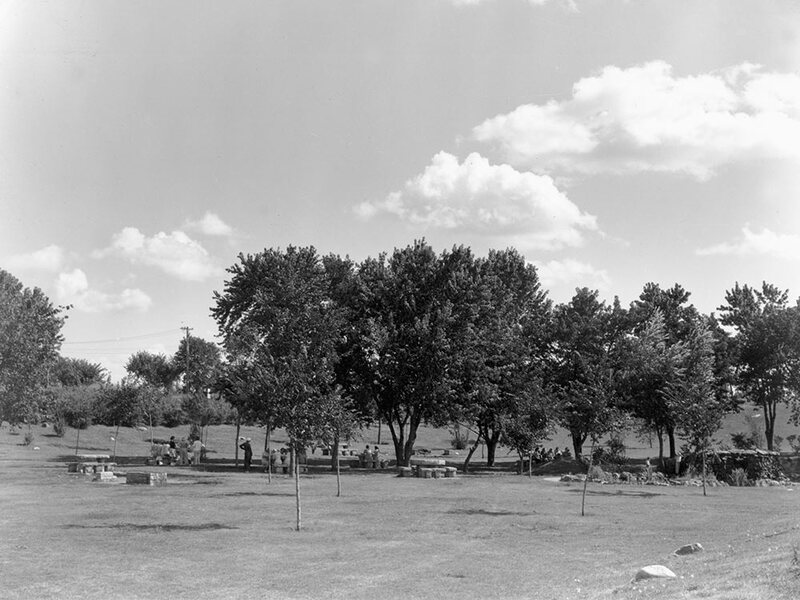 Lilac Park (original), Minnetonka Blvd., 1939. Looking south to beehive fireplace. MN Historical Society. 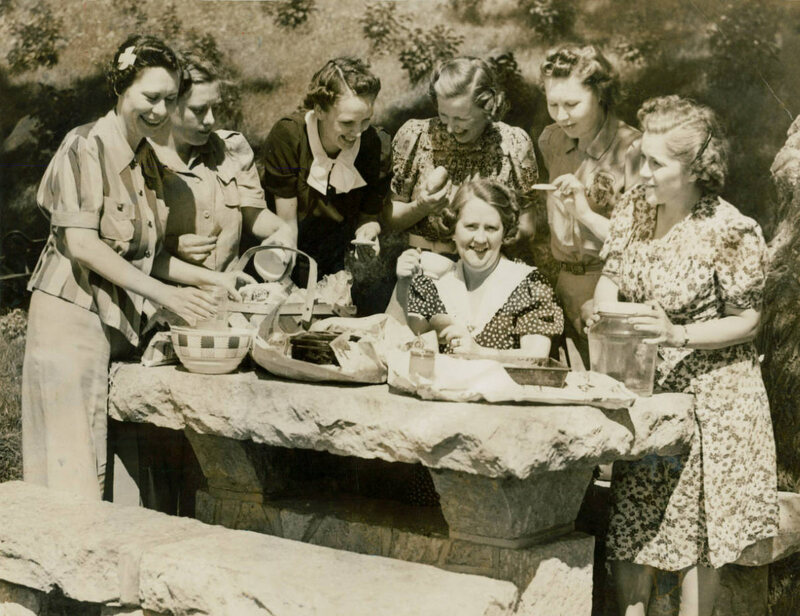 Lilac Park (original) 4th of July picnic, 1940. 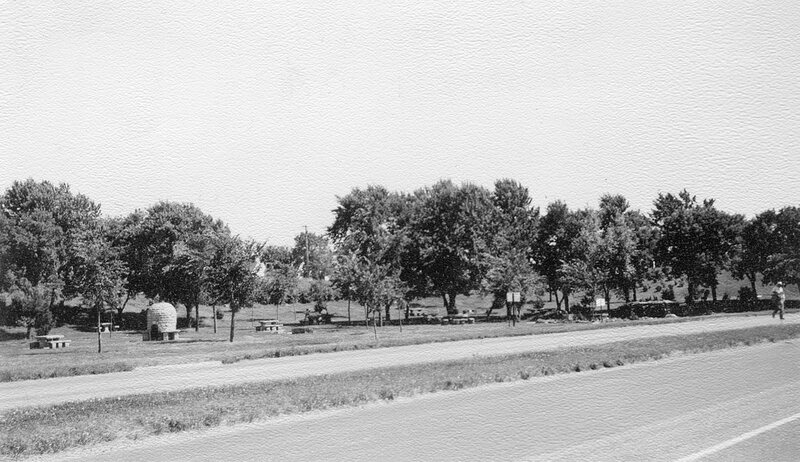 Lilac Park (original), Minnetonka Blvd., 1964. 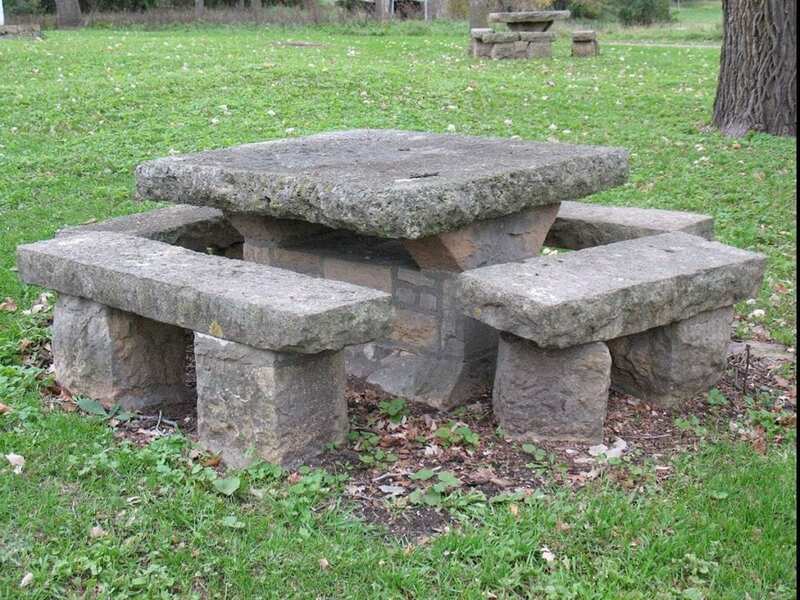 Beehive fireplace, tables. Photo: MnDOT. 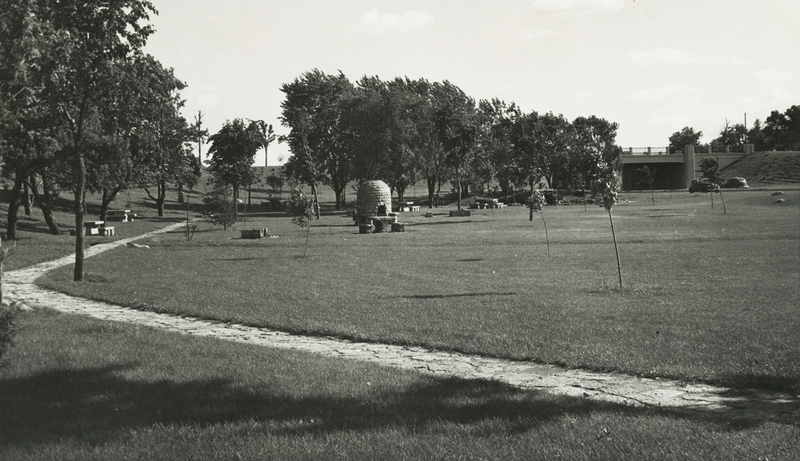 What did the WPA build in Lilac Park on Minnetonka Boulevard in 1939? 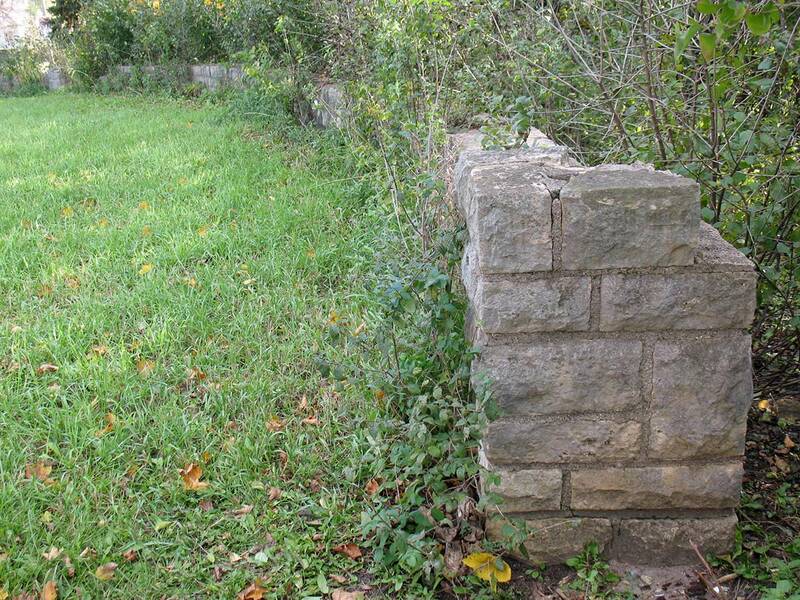 Roadside Park, 2007. Now restored and renamed Lilac Park. 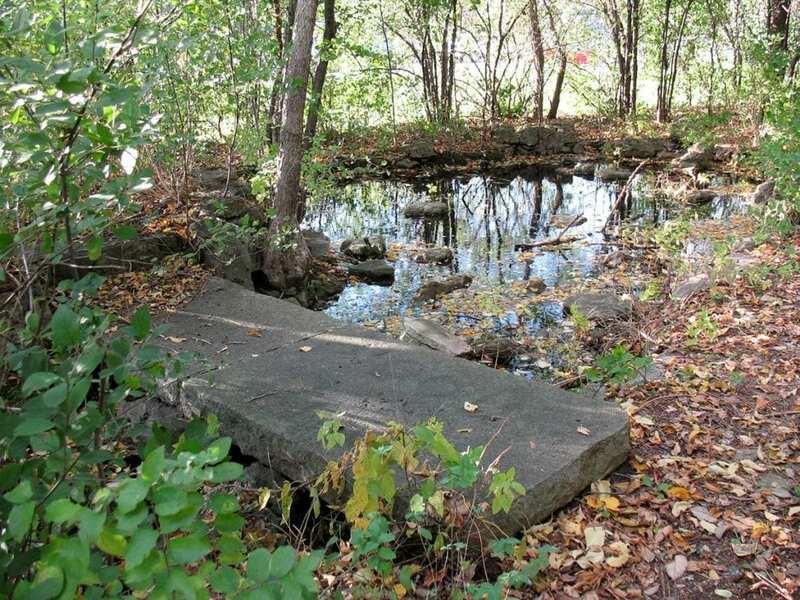 Read MnDOT’s 1997 Historic Roadside Development Structures Inventories (PDF) for the original Lilac Park.